Dallas Vue was born and raised in Sacramento, California and he is the youngest of eight children. His Hmong refugee parents instilled in him the belief that hard work will be rewarded, and that education is invaluable. Dallas graduated from Grant Union High School in Sacramento, California in the class of 2015 where he maintained above a 4.0 GPA while serving as the President of the Interact Club, participated in the UC Early Academic Outreach Program, and UC Davis’ TRIO Upward Bound. Dallas was recognized as a National Quest Bridge Scholar in high school for his hard work in academics and services to his underserved community. Dallas now serves as an ally for Coalition for Undocumented Students and Allies (C.U.S.A), and Director of Finance for Student Senate along with American Medical Student Association (AMSA) at American River College. Dallas attended UC Davis in the fall of 2015 with a major in Neurobiology, Physiology, and Behavior (NPB), but rerouted his educational plans in going to American River College in the Summer of 2016 to enhance his chances of being more well-rounded as a pre-med student and advocate. Dallas plans to transfer to Sacramento State majoring in Biomedical Sciences in the Fall of 2020. Dallas aspires to become a physician-scientist (MD/Ph.D.) to find a cure for cancer. Dallas will be entering his third consecutive years with AMSA ARC, and he hopes to make an impact on these scholar students to be the change they wish to see in the world. In his free time, Dallas enjoys mentoring students from his old high school in talking about the pursuit of higher education. He also loves to play sports such as soccer, football, volleyball, basketball, and anything involves being active. Chase was born in Jackson, California and is a third year full time attendee of American River College. He graduated from Center High School, where he discovered his passion for medicine and human care. Chase plans on transferring to UC Davis after four years at ARC to study biochemistry in fall 2020. 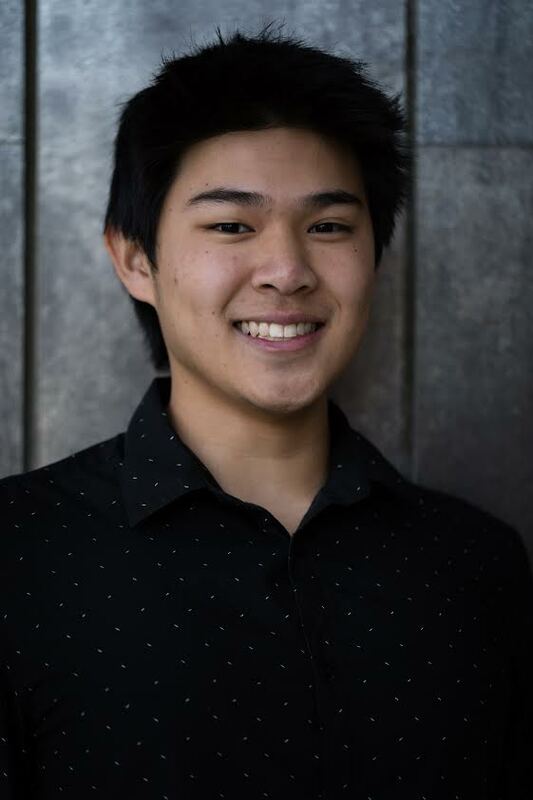 Chase currently works at Mikuni Kaizen and hopes that one day he can use the practice of medicine to give back and connect with his community. Chase’s favorite pastimes are hanging out with friends, going to the gym, and playing video games. Alina was born in a small country called Kyrgyzstan, which is nearby China and Russia. The first languages she was exposed to was Russian and Kyrgyz. When she was 7 years old her mother decided to move to California and start a new life. Her medical family inspired Alina to pursue a career as a Physician Associate. Currently, Alina volunteers at the Alzheimer's Association and is working and going to college full time. Alina loves to be in nature, listen to music way too loudly, and anything that involves comedy. Ashley Liang graduated from Folsom High School in 2016. During her high school year, she spent her lots of time volunteering at Folsom Care Center. Ashley has been studying at American River College for three years. She majors in Biological Science and plans to transfer to UC Davis in 2019. After getting a bachelor's degree in UC Davis, Ashley hopes to get into medical school and becomes a doctor in the future. Being a doctor has been her dream since she was a child. She likes to help people because helping others has a profound rippling effect. We never know how important a single act of kindness is. She enjoys going to the gym. watching movies, and listening to music whenever she is free. Natasha is an aspiring health and sport enthusiast looking to further her career in athletic injury care. She currently works as a Neuromuscular Therapist at Active Bodywork with a wide range of clientele from Olympic and Elite athletes, post-operative care, and weekend warriors. During her time in school for neuromuscular therapy, Natasha realized her eager passion for human anatomy needed to be taken to the next level. She is currently driven to pursue medical school to study Orthopedic Surgery for athletes and professional sport’s teams. Her goal is to transfer to UCLA in Fall 2019 with a degree in Human Biology. Between school and work, Natasha is a part of ARC’s Honor’s Society, MESA (Math, Engineering, and Science Association), and Women in STEM. In between her busy schedule, she works with a professional coach year around to prep for figure competitions in her down time. With a healthy and physically active lifestyle, Natasha has a positive way to motivate others to do the same. Natasha has big plans for AMSA and hopes to impact her positivity on everyone she encounters on campus. Virginia is majoring in nursing and hopes to transfer from American River College in the next two years to a nursing school. She has gone to Guatemala to volunteer as a pre-medical student in a low resource clinic. She has gained experience that can hopefully help her nursing career. She hopes to be finished with nursing school by 2021. She is a Public Relations Officer for AMSA and hopes to be of great help to her colleagues and the club. Inspired by the treatment of doctors that aided her sister when she was critically ill, Khali was motivated to become a pediatrician. She decided to go into pediatrics as it was a career that would allow her to replicate the similar care that was given to her younger sister. Khali previously volunteered in Mexico where she assisted with vaccinations and other healthcare services. Additionally, she has shadowed and aided surgeries in India. With a strong passion to help children, she plans on traveling to work in impoverished regions of the world in her free time. Currently majoring in cellular and molecular biology BS and volunteering in the Child Life Program, she plans on transferring to UC Davis in fall 2019. Diana has recently moved to Sacramento about a year ago. Before that she was living in the Middle East where she had the opportunity to volunteer with many great organizations such as the Red Cross, Red Crescent and UNICEF. She had the honor to help many people in need like Syrian refugees in UNICEF camps and disabled children in Lebanon. She hopes to transfer to UC Davis next fall and obtain her degree in Biological Sciences meanwhile trying to make her community a better place. In her free time, Diana likes to binge watch f.r.i.e.n.d.s, discover new restaurants, and spend time with her family.